When the weather turns cold, a climbing heat bill can keep you from cranking up the thermostat. There are ways to heat your home without turning to your heater, but an electric oven isn't your best option. Keep the cold under control without using kitchen appliances to increase the temperature of your home. Electric ovens don't emit carbon monoxide. 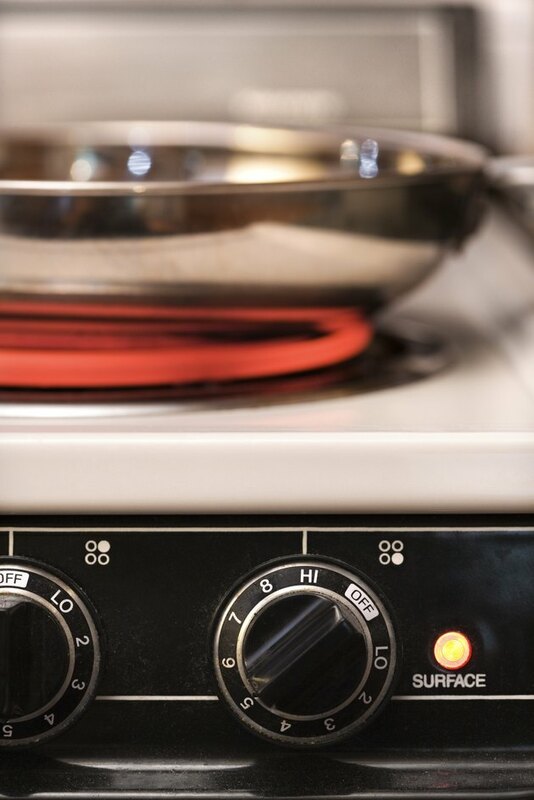 An electric oven is powered by electricity, not gas, and is much safer to leave running than an older gas stove. It doesn't emit carbon monoxide. Electric ovens frequently stay on for many hours at a time without adverse effects. High oven temperatures can heat a room even with the door closed, though it won't be effective in a very large space. Opening the oven door will allow the heat to move more freely into the room. Running an electric oven costs much more than running a smaller space heater. Check the wattage on the unit to know what your costs will be. The lower the watts, the lower the cost on your bill. Your monthly kilowatt hours are calculated by multiplying the wattage of the unit by the hours per day it's running, and then dividing by 1,000. You pay your electric bill by the number of kilowatt hours used. An electric oven usually uses from 1,500 to 4,000 watts. Space heaters are available in models that use as little as 500 watts. Look for energy efficient models. An electric oven left cracked open at the highest heat can melt temperature dials. The longer an oven is on -- especially unattended -- the greater the chance of an electrical malfunction leading to a fire. Ovens are designed to heat the small internal area where your food is cooked, not an entire room in your home. In general, though, the dangers of heating a room with an oven are small and it is not much more dangerous than using an oven to cook. If you need a different heat source, try a space heater. The wattage used is much lower than that of an oven and it's designed to heat a room. You can also try kerosene heaters, though they emit an odor. When you're using a heating source, make sure nothing flammable is near it and that any non-electric source of heat is located in a place with proper ventilation.